Feel Unique had a deal on the other day for 100 items for £1 so I searched and searched for things and found these beautiful nails from Nails inc. They retail for about £30 so for £1 I couldn't say no to them! I think I am going to wear them tonight when I go and see Katy Perry! 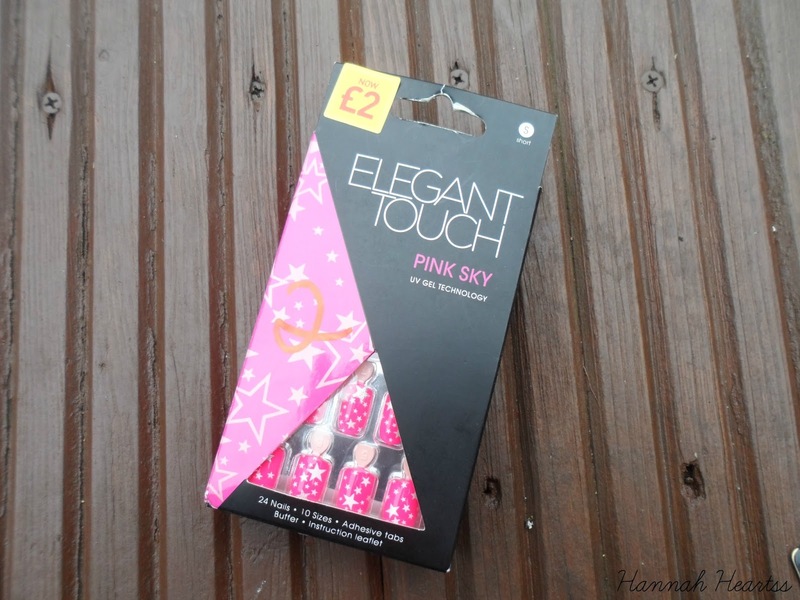 While I was in New Look I saw these ones from Elegant Touch in the sale for £2 and I thought I would give them a try! They are neon pink with little glittery silver stars - super cute! 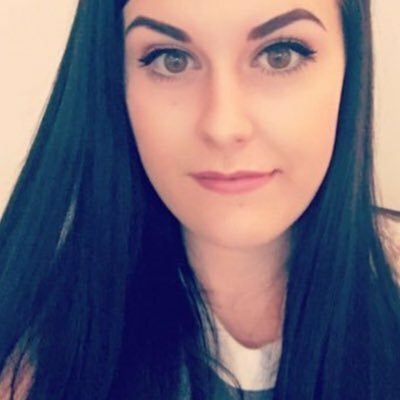 These are supposed to have UV gel technology which I think just means they are super glossy so we shall see and I will report back! 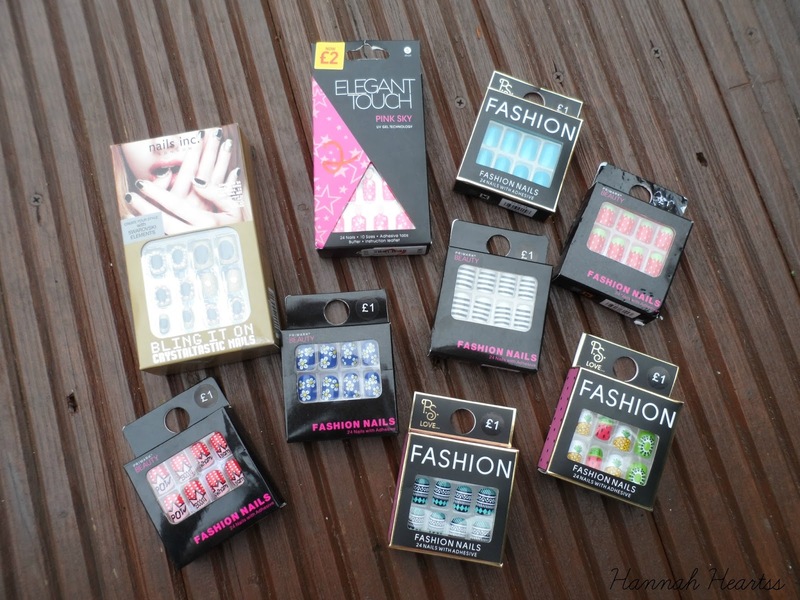 And finally we have the Primark fashion nails for £1. I cannot resisit picking up these whenever I am in the shop and this time I went a little mental, I got too excited about all the designs! I think my favourites are the fruit ones and the navy blue with the floral design! 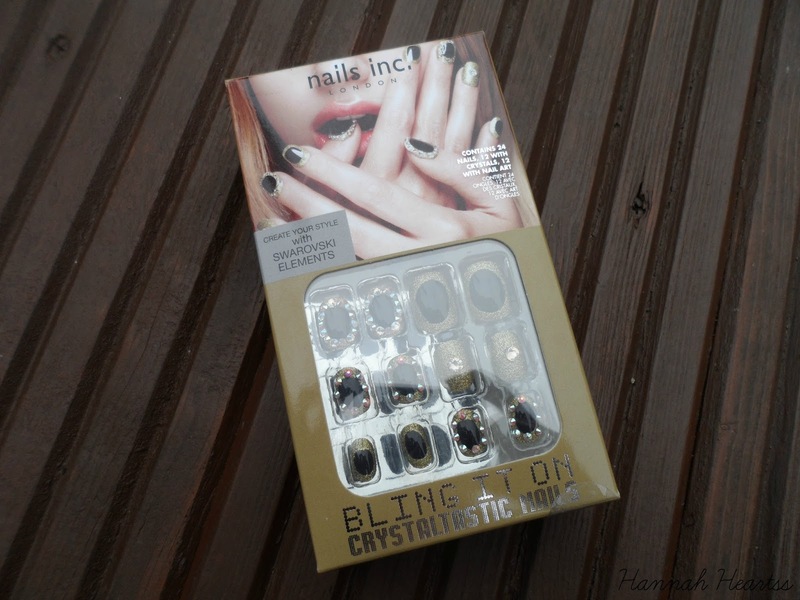 Have you tried any of these nails before?